About Us - Marciano Auto Group Inc. Established in 2014, Marciano Auto Group Inc is led by a father (Frank) and son (Frankie) team of automotive enthusiasts. “Passion for Automobiles” in the Marciano family started in the 1940’s when grandpa Marciano developed a love for cars. Frank remembers stories of his father always getting new cars and letting his mother drive them first to break them in, as she had a softer foot than grandpa! When Cadillac production was sold out, grandpa always had one on order and when it was ready he sold the one he had for a profit! Those were the days! 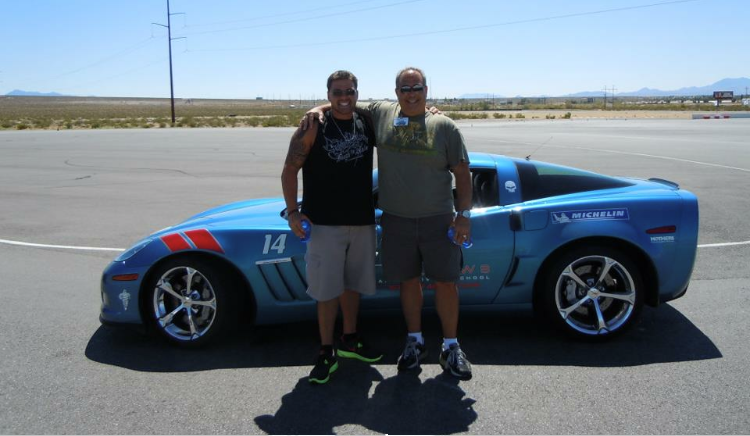 As the Marciano tradition continues this father and son team have owned numerous performance and non-performance vehicles alike. Brands and nameplates owned by the family over the past 4 decades are numerous and wide! Here are some examples of cars owned and driven by the family: 6 Corvettes (Z06, ZR1, 427), 3 Camaros (SS,RS), 6 Cadillacs (including 2 CTS V’s), 3 Dodge Challengers, 1 Charger, Many Buicks and Oldsmobiles (Regal, LeSabre, Park Avenue, Cutlass Supreme), Ford (Mustang GT and F150 Truck), Lincoln (LS), Lexus (GS430), Infiniti (M45, M37S, G37S), BMW 550i, Audi (S6, RS7 and R8), Mercedes (SL550, SL65 AMG, E63 AMG, E550, CLA45 AMG). You name it, they have owned and in many cases upgraded the performance of most vehicle brands. Some of their favorite cars are good old fashioned America Muscle cars! Camaro, Corvette, Challenger, Mustang and Charger! Frank has an engineering degree and just finished a successful career as an international businessman, Frankie has a business degree with a major in marketing and is a personal trainer. Together they make a strong team of automobile experts with both the technical, operational and market knowledge required to bring you quality cars at affordable prices!